The renowned oceanographer, deep-sea explorer and discoverer of the Titanic reminded participants at The Tech for Global Good Youth Climate Action Summit (YCAS) on Nov. 10 that 95% of the human race lives on less than 5% of earth’s land. Global warming, he noted, is making that 5% even more uninhabitable. 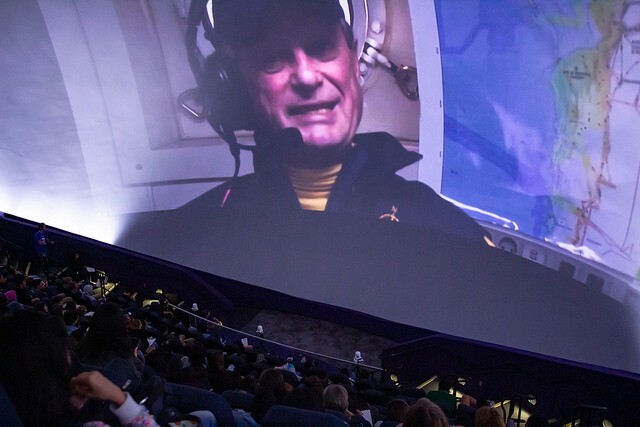 Calling in to the inaugural Youth Climate Action Summit from the E/V Nautilus off the coast of Southern California, Dr. Ballard shared his concerns in a live teleconference, which kicked off the day-long event. 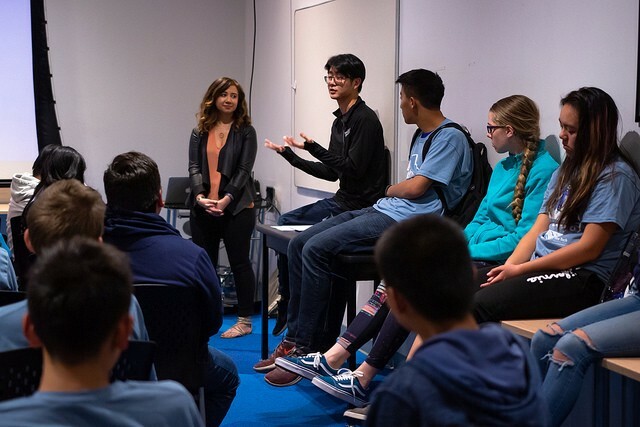 Answering that question was the focus of the YCAS, where enthusiastic students from across the Bay Area gathered at The Tech Museum of Innovation in downtown San Jose to learn how to attack climate change from all angles. One of their biggest takeaways was learning that exploration and field work like Ballard’s — while critically important — is only part of the puzzle. Solving climate change also requires innovative approaches from engineers, journalists, lawyers and legislators. Besides reassuring students that they could follow their passions and still effect change regarding environmental issues, the presenters and facilitators also reminded them that small acts add up to a larger movement. That was the primary goal of National Geographic in showcasing its Planet or Plastics program, which asked students to pledge to reduce their use of single-use plastics, such as utensils and straws. “We want these 500 amazing students to be involved, to be inspired and to see that they can make a difference,” said JT Hardin, manager of education leadership programs at National Geographic. As dozens of students lined up to take the pledge, others waited in line to experience a virtual reality forum, an escape room, a UN negotiation simulation and a storytelling session. 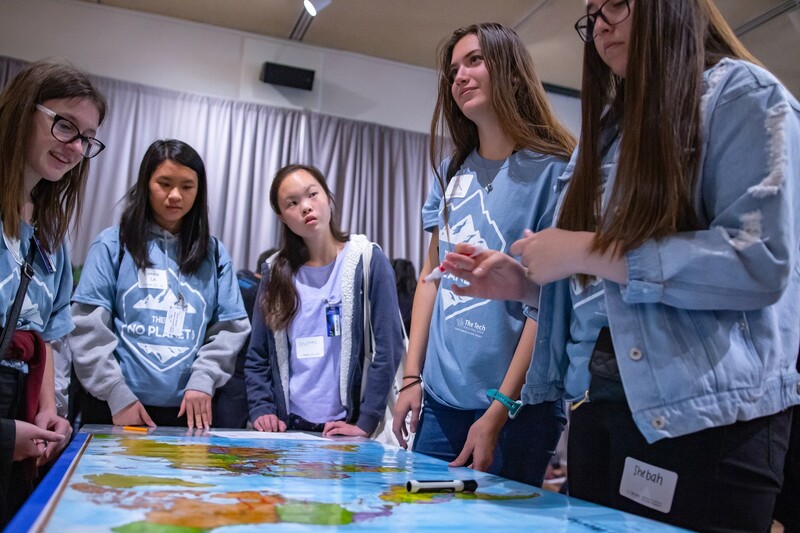 The wide variety of activities kept students buzzing all day with new information, but more importantly, new connections with other Bay Area teens who are as passionate about saving the earth as they are. If you’re interested in joining these teens to take collective action against climate change, visit campus.ecochallenge.org and choose YCAS 2018 as your campus after you sign up. Museum of Innovation. Our mission is to inspire the innovator in everyone.